Remembrance Day, marked by wearing a poppy, is a memorial day observed since the end of the First World War to remember the armed forces who have died in the line of duty. 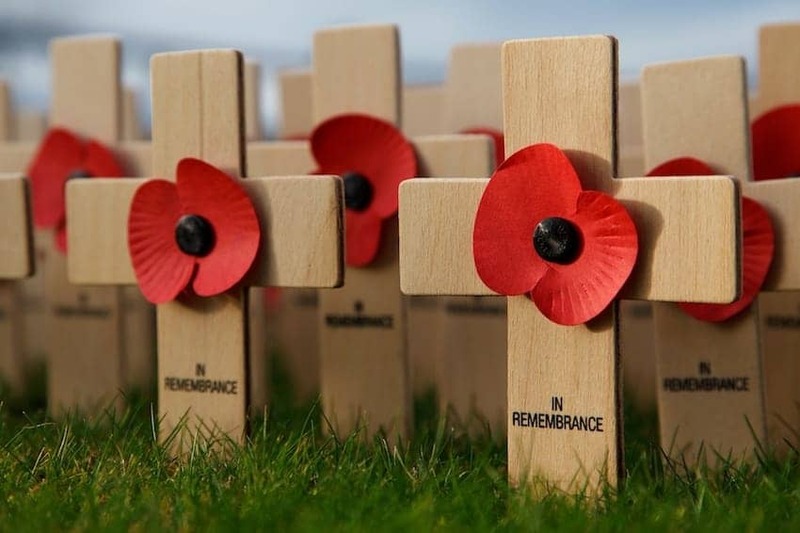 Remembrance Day is observed on 11th November being the end of hostilities of World War I on that date in 1918 'at the 11th hour of the 11th day of the 11th month', in accordance with the armistice signed by Germany and the Entente that morning. The British tradition is to hold wreath laying ceremonies at the many war memorials around the country and to hold a two minutes' silence after sounding the Last Post.